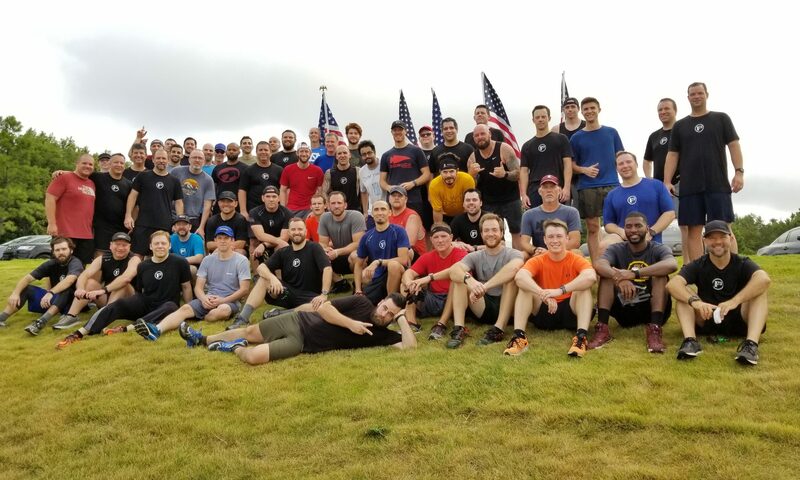 On September 22, 2018, F3 Nation’s GrowRuck Q (Bono), Weasel Shaker (Slaughter), and Nantan (Dredd) led 62 PAX in a 60-minute beatdown at ECS. This is what happened, in Bono’s words. Follow Me/Shock & Awe – The unexpected is part of what we expect during a GrowRuck. A “Follow Me” run allows us to break a normal routine of doing 20 Side Straddle Hops IC. 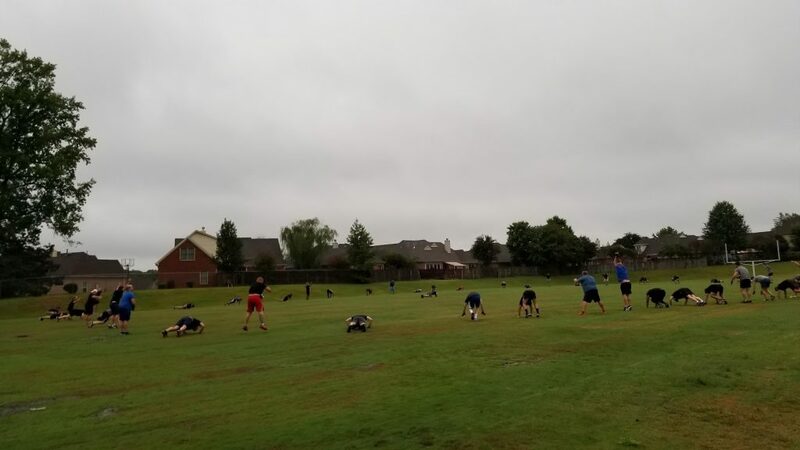 We circled up at the football practice field and started with a warm-up of 10 Burpees OYO. Next we continue with 8 Burpees IC (6-count); Then we continue with 6 burpees. The pax started to figure out the routine and determined that next we would do 4 Burpees. Before the final round, the pax had to guess the count – NOT 2 burpees, but 10 burpees. Never think the finish line is the finish until you hear “recover”, aka “Get prepared for the expected, BE prepared for the unexpected. Counting Cadence – Next Dredd gave a quick overview of counting cadence. He reviewed the reasons WHY we count cadence and led the pax through a series of exercises. Throughout the workout we had several pax come up at count cadence and learned that even though Dredd almost always does a 4-count cadence, a Q can use a “tempo” cadence if it works for the exercise. After that we did another “follow me” to the track. 3rd Stop – Wide Arm Merkins, Jump Squats, “Oh Yeah!! IC. This time we made sure to connect with another pax on the mosey around the track. 4th Stop – Merkins IC, Squats IC, Flutter Kicks IC – This round was done IC with three locals leading the way. Bear Crawls – The final evolution was modified to become a bear crawl to the 45 OYO and followed by a team bear crawl back. On the way back the men determined that pausing at the yard lines became a good way to stay together, which was a skill used early on in the Tough that evening. COT/BOM – Thanks was offered for the pax, safety, and strength. We got to sing “It is well” and all was well. Moleskin – Jocko once said, “Life is like burpees, you fall down and get back up. You fall down and get back up.” This group of men started with a bang and at this workout and never disappointed the F3Nation pax. We figured out how to do burpees, how to count cadence, how to recover when falling by diving. We moseyed with brothers, we muscled through 59 flutter kicks when they were not expected. We were men enough to hold each other’s hands (man the Q was surprised when that took place) and we began to learn the power of connecting with a brother by asking him questions and leading through love. 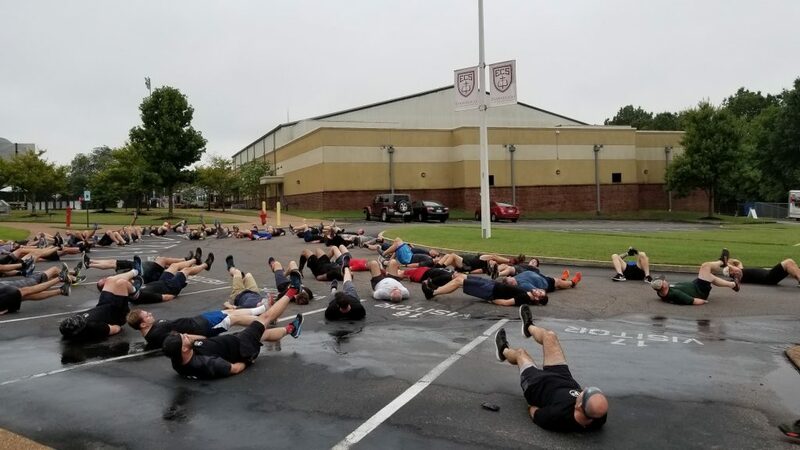 When we had to work as a team, it seemed like the pax was given a heads up on the bear crawls, because the Q didn’t give directions, the pax organized themselves. 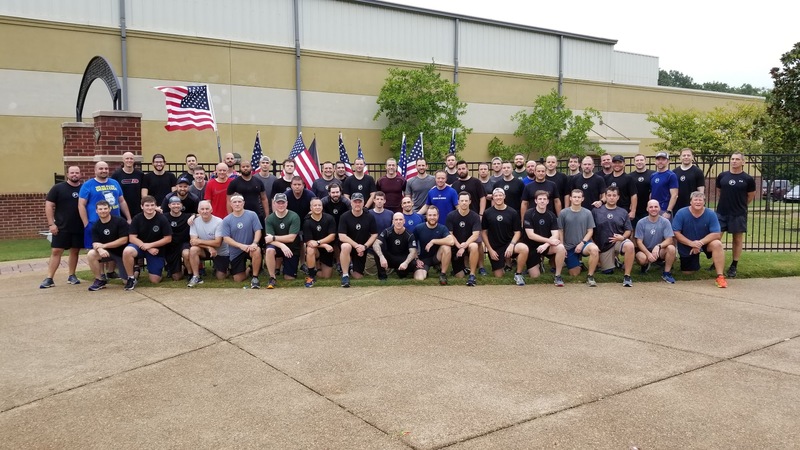 This was a Sua Sponte occurrence that continued to take place as the Individual Initiative (I2) took place over the next 24 hours through the challenge. This weekend was one of the most rewarding, difficult things the Q has participated in. The bonds of brotherhood and friendship that started with the Friday Night 2nd F really culminated at the service on the Mississippi led by 4 Eyes at the end of the Tough. YHC is proud to call all of the F3 Memphis, St Louis, Dallas, Houston, Jackson, and Chattanooga, pax a brother.